Home / March 21 Campaign – Racism: Recognize it. Reject it! 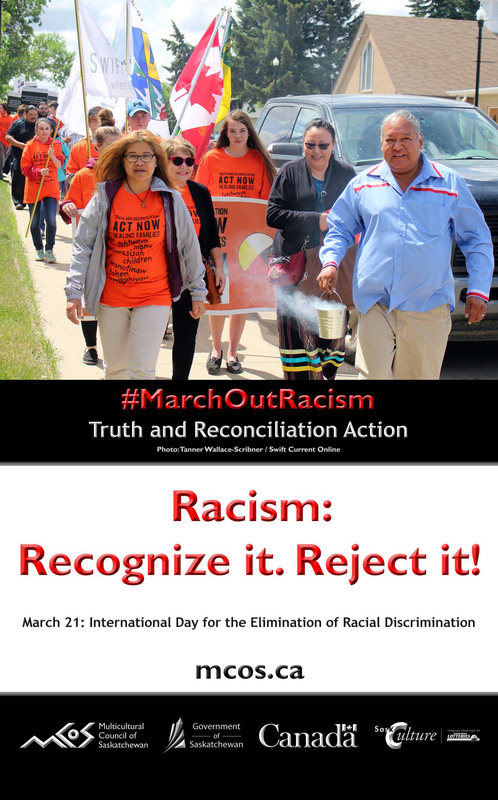 Every year, in recognition of March 21: International Day for the Elimination of Racial Discrimination, the Multicultural Council of Saskatchewan (MCoS) executes a provincial educational anti-racism campaign. This year’s campaign features the theme Racism: Recognize it. Reject it! and the hashtag #MarchOutRacism (see poster on right). In 2019, we are encouraging participation in the campaign through a Racism: Recognize it. Reject it! activity kit. 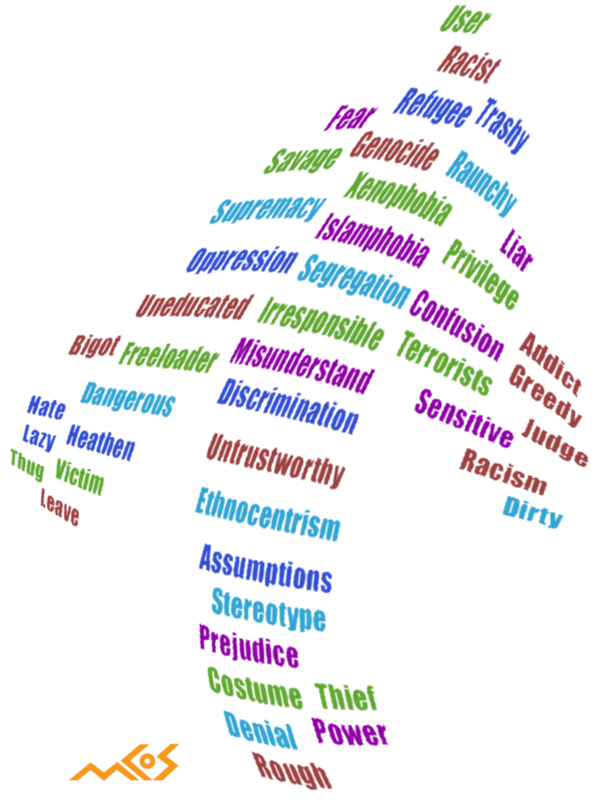 During March, we invite members, funders, partners, schools, workplaces, faith groups, etc. to download the free activity kit and set it up leading up to March 21. You can also contact MCoS at mcos@mcos.ca to have a kit mailed to you. These activity kits can be set up anywhere (with permission in public spaces). It could be part of another event or a stand-alone activity. 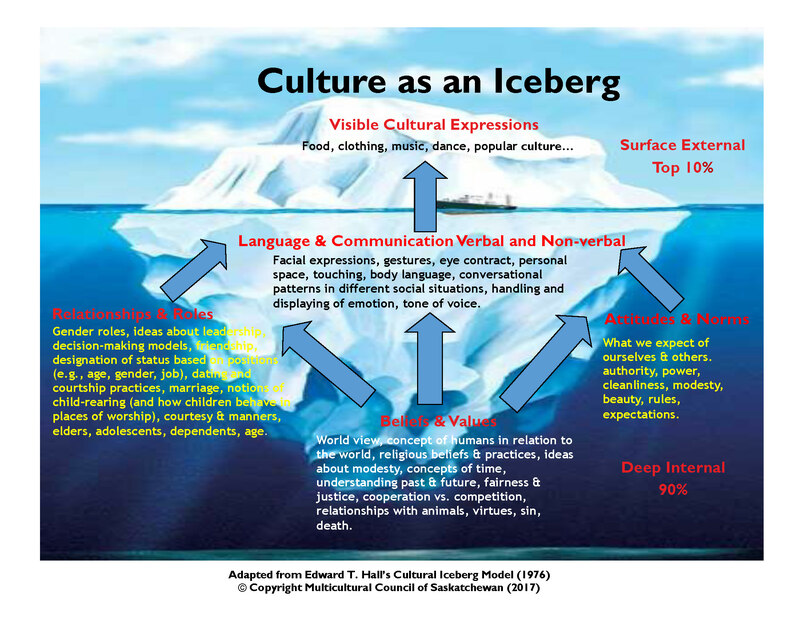 The idea is to raise awareness of racism, how it works, the damage it causes and how we can recognize and reject it. This activity kit is sure to start a lot of conversations. Challenge others to also participate in the Racism: Recognize it. Reject it! 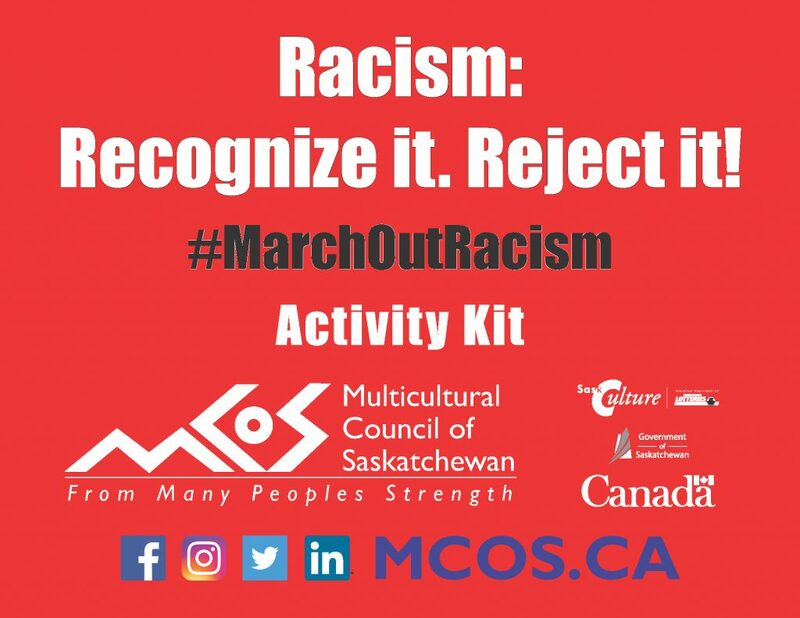 activity kit and post their content to social media using #MarchOutRacism. This activity kit accompanies the March 21 campaign Racism: Recognize it. Reject it! and uses the hashtag #MarchOutRacism. It is meant to be printed and set up however you want. It contains content about how to recognize and reject racism. It also has links to resources and downloads related to the campaign and anti-racism work. Instructions are inside the activity kit. 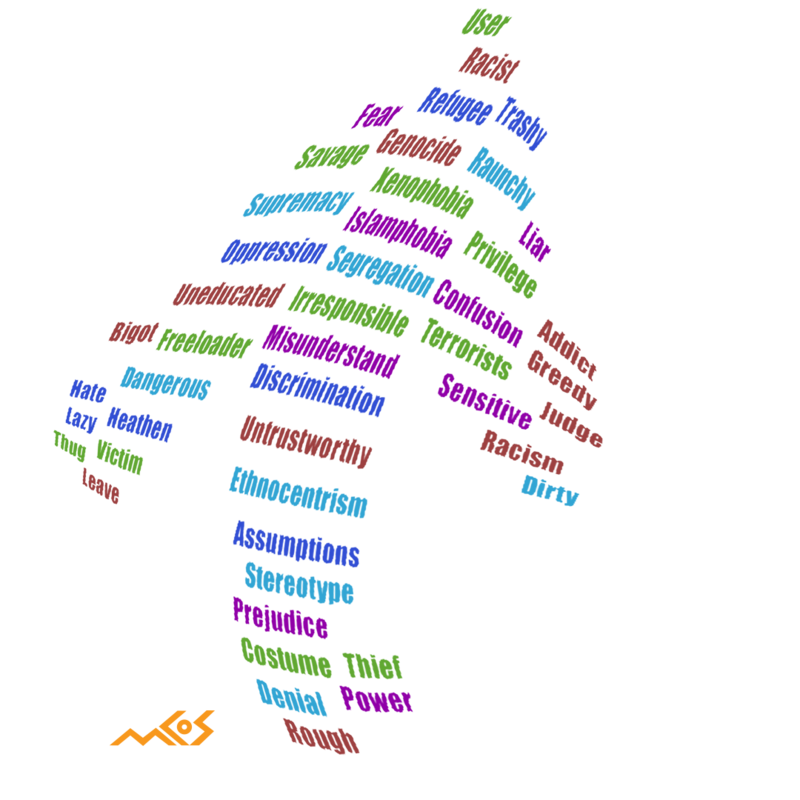 You can share this kit with anyone and challenge them to participate in the activity.